Receivable Savvy Analyzes Whether Suppliers Should Take Early Invoice Payment and Asks if It's Worth It in New eBook | Company Newsroom of Receivable Savvy, Inc.
Atlanta, GA, April 5, 2017	(Newswire.com) - Supplier organizations often find themselves waiting 30, 60, 90 days or more to receive payment from their customers. As this trend continues, two questions remain; should suppliers take early payment on their invoices and is taking early payment worth it? 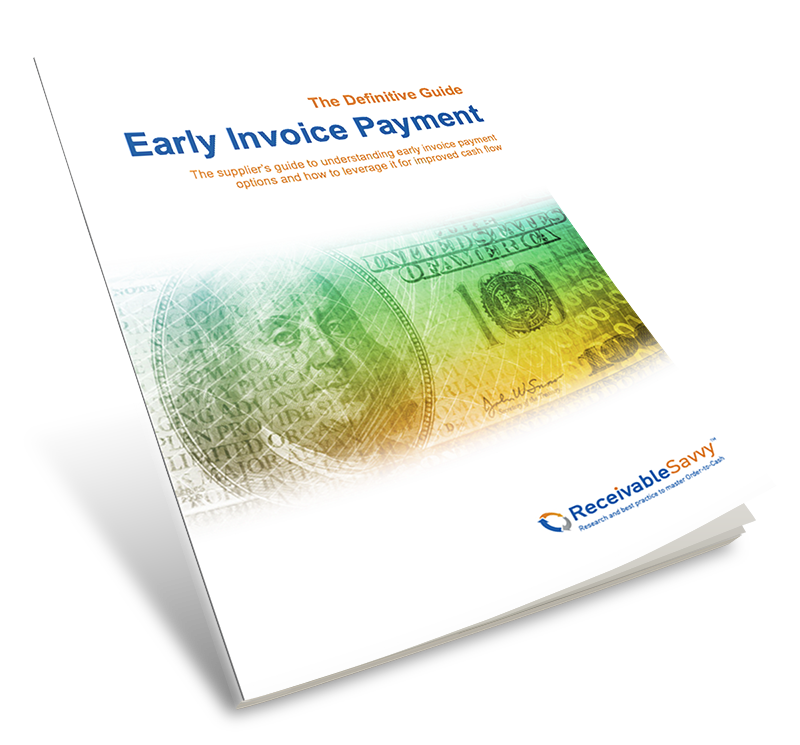 To answer these and other questions, Receivable Savvy, the research and best practice resource for Order-to-Cash professionals, today published The Definitive Guide: Early Invoice Payment – The supplier’s guide to understanding early invoice payment options and how to leverage it for improved cash flow. The guide is available as a free download and highlights those early payment options available to suppliers in addition to identifying how it impacts both suppliers and customers. The guide also includes answers to the most frequently asked questions about early invoice payment and a provides a list of early payment solution providers to watch in 2017.